Authorities in Virginia are warning people to be on the lookout for an invasive plant species found Tuesday in the state. The plant is known to cause third-degree burns and even permanent blindness. A Facebook post from the Massey Herbarium at Virginia Tech said 30 giant Hogweed plants were found in an area between Winchester and Leesburg called Clarke County. The dangerous plant contains a sap that is toxic and when combined with sun exposure can pose severe health hazards up to third-degree burns and blindness. The New York Department of Environmental Conservation said, "In brief, the sap prevents your skin from protecting itself from sunlight, which leads to a very bad sunburn. Heat and moisture (sweat or dew) can worsen the skin reaction. The phototoxic reaction can begin as soon as 15 minutes after contact, with sensitivity peak between 30 minutes and two hours after contact." Injuries from the sap include painful blisters that can become "dark and pigmented" as well as scars that last up to six years. Clarke County officials have confirmed at least one case and are warning residents in other parts of Virginia to be on the lookout for the toxic plant. 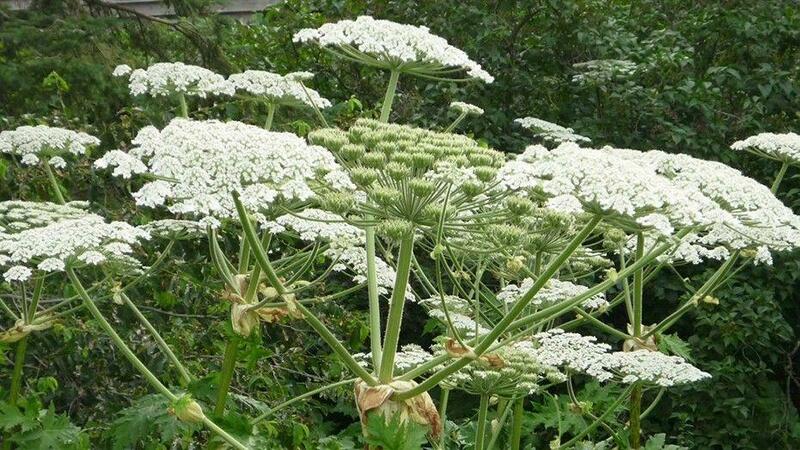 Isle of Wight County posted to Facebook, "There have been reports from VDOT of sightings of Giant Hogweed in the Staunton area and Middlesex County. There is a strong possibility that the Giant Hogweed could find its way into the Tidewater/Coastal Virginia area." The toxic plant can even grow up to 14 feet tall. NYDEC also warned, "It may be possible for hogweed seeds to remain viable in the soil for 15 years. For this reason, long-term monitoring is very important. Check the site and surrounding areas for the next several years for the emergence of any hogweed seedlings or regrowth from previous year's plants." Believe it or not it was introduced as a garden plant in the USA. Idiots will be idiots.